Slideshow, presentation and author visit about the spookiest old buildings in Massachusetts! Wed, August 24th 6:30-8:00pm, in Upton Town Hall. 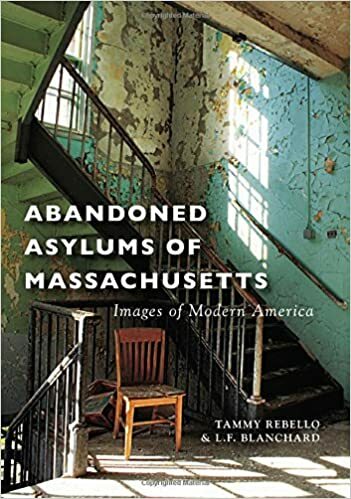 Upton Library is hosting authors Tammy Rebello and L.F. Blanchard at a presentation and book-signing for their new book titled “Abandoned Asylums of Massachusetts”. The book combines photographs, history, and first hand accounts to explore the story of these facilities across the state. Get a preview at the authors’ website: http://abandonedma.wix.com/abandonedma. Take a look at the book, which is on display at Upton Library, along with some of our other titles about creepy secrets of Massachusetts history. This program is free of charge. Copies of the book will be available for purchase. Weds, August 24th 6:30 in the Upton Town Hall.